It’s a rare occasion that I get to go to the theatre not knowing anything about a show in advance and so when the opportunity comes, it makes for a nice change. And in this case a huge surprise as Emil and the Detectives turned out to be a show with a cast full of kids! I now know that Erich Kästner’s 1929 novel is a much beloved children’s classic, though it never found a home on my bookshelf, and adapted here by Carl Miller, the tale of smalltown boy Emil going on a life-changing journey through the scary metropolis of Berlin and finding an unexpected solidarity with an army of street kids – the Detectives – is a solid entry in the National’s roster of family shows. On the face of it, Bijan Sheibani seems an odd choice of director, an undoubtedly patchy track record leaving huge question marks but the National’s faith has been largely repaid here with a mercifully flaming skeleton-free production. Bunny Christie’s set design is a glorious masterpiece, using Constructivist angles and a stark spareness to allow for a range of different atmospheres and locations to be evoked, and the collaboration with Sheibani really pays off in key moments when the simplest solution is often used to great effect. Lucy Carter’s precise lighting comes into play in ingenious chase scenes with Ian Dickinson’s sound adding suitably creepy notes. But this is determinedly a family show and particularly after the interval, a near panto-esque vibe creeps in with crowd-pleasing moments aplenty that will capture many a young heart. 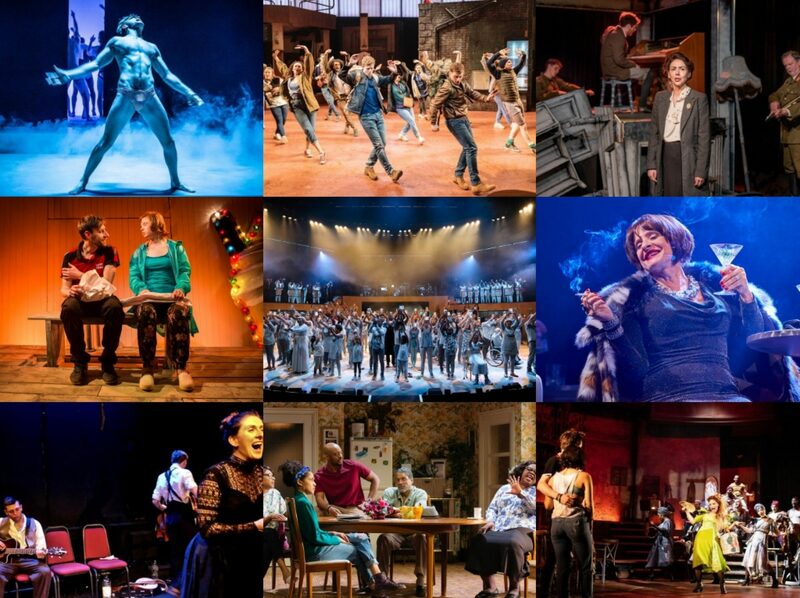 Seeing the vast stage of the Olivier filled with 60-odd kids is thrilling too, the National utilising its unique position well to create three such brigades who’ll be able to say they made their stage debuts at such an exalted venue. It’s just a shame that there didn’t appear to be anywhere telling us which of the three was performing this evening, so I can’t mention any names of the leading performers, including Emil. As a child-centric narrative, the story does ask a lot of its young cast and if one is being totally honest, then the group vibe does come off more often as Famous Five than credible urchins but there is a pleasing professionalism about them all which keeps them firmly on the right side of cute. Naomi Frederick emotes well as Emil’s mother and as the ominous bowler hat-wearing Mr Snow, Stuart McQuarrie is just the right kind of villain. 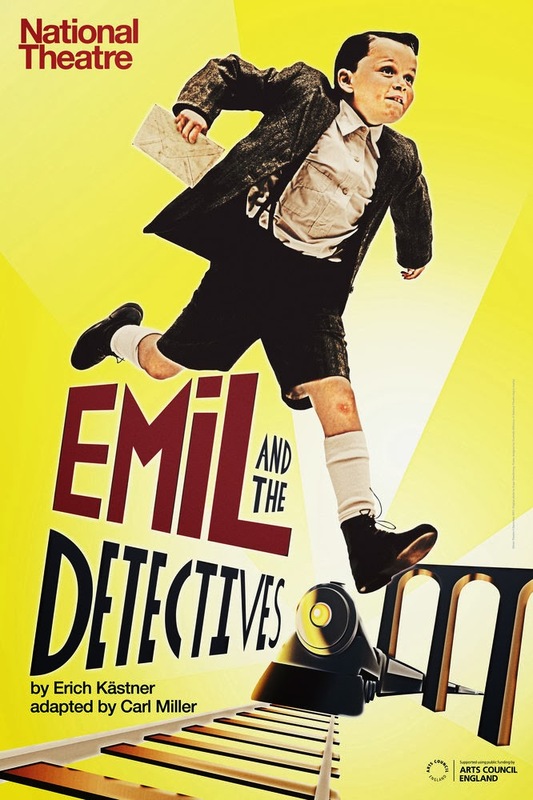 With live music played by a band of six from the side, a real visual flair and a genuine sweetness at its heart, Emil and the Detectives offers pleasant family fun (for everyone over the age of seven).